The classic reversible vest is an ideal beginner project and comes complete with a pattern for toddlers and girls up to age 12..
First projects are where you fall in love with sewing. 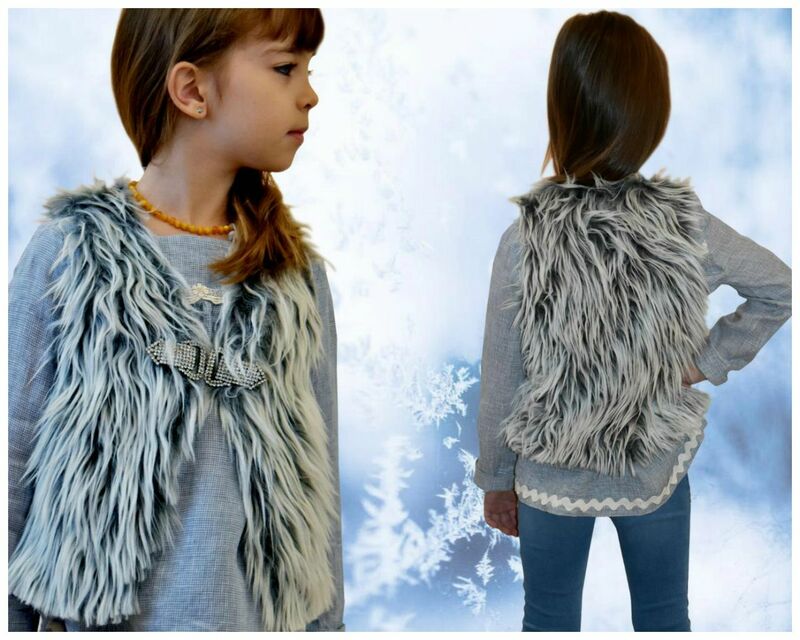 This reversible girls vest sewing pattern and online sewing course will be one of those. It is easy, teaches you tons of tricks and also fits just right. Look closely at the picture, can you see my mistake? Lesson learnt; when working with shaggy fur tape up the fur before you cut the piece out, so it doesn't look like a bad haircut..... Still Magdalena, my little model, didn't notice and this vest is gonna get some use again this Winter! She wears it with the Virginia blouse, another staple you can get under your belt.